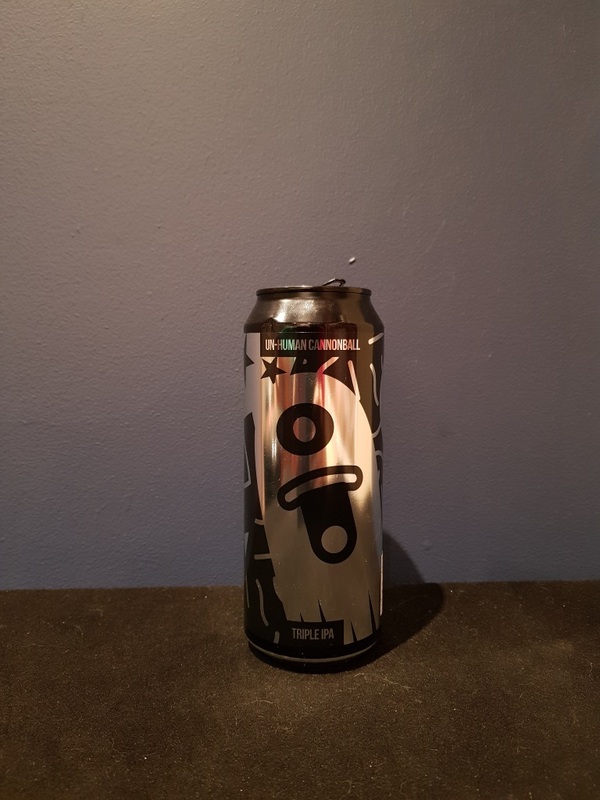 Beer #2855 is a triple indian pale ale brewed by Magic Rock Brewing in Huddersfield, England, U.K.. I wasn’t sure if I should have a beer tonight, especially given that this one has an 11% ABV, because I started on beta blockers today for the irregular heart rhythm. But my house is now officially sold, not withstanding an unfortunate event like the buyers dying in a plane crash, and I wanted to celebrate the event with a beer. This is the best of the three human cannonball beers that I’ve had, though it still comes across as a little winey but it’s another thick, bitter and almost chewy triple IPA. Hoppy with pine and a fair bit of grapefruit, citrus and toffee. The bottle size is 500ML with an alcohol content of 11.00% (containing approximately 4.30 AU / 5.50 UK standard drinks), and it costs $14.74.